Chimney is a software Digital Musical Instrument in which the control on the temporal evolution of the piece is delegated to a computer agent, an algorithmic random walker. The walker autonomously roams throughout a virtual space following a specific statistical distribution modelled on an adapted version of the Perlin Noise. 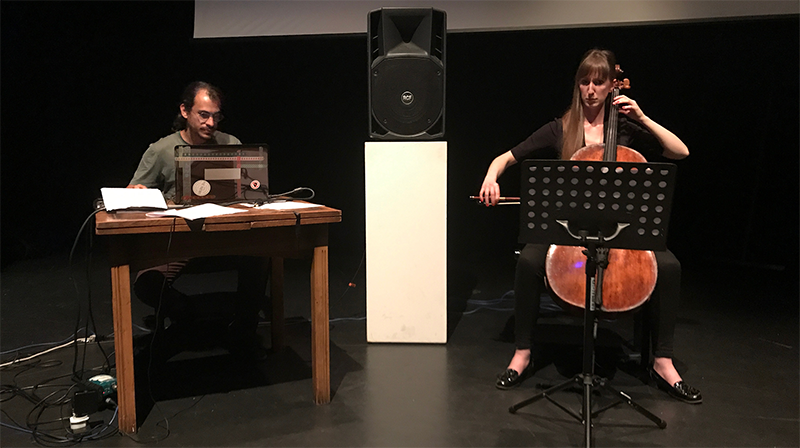 The musician can interact with the composition by adding to the virtual space pre-recorded sonic material. 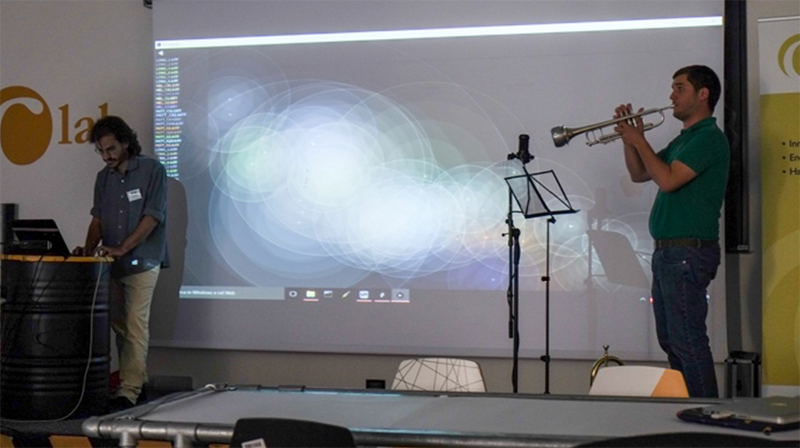 These sound sources are displayed as circles that can be resized, repositioned, or deleted in real time by the musician. When a new circle is added to the canvas, the system sets it in idle state and mutes it. As the random walker enters a circle, the amplitude of the sound connected to that circle increases. The maximum level is reached when the walker is at the centre of the circle. Player interaction is then reduced to deciding the sonic objects, and their likelihood of being played. Under these conditions, the musician cannot organise the temporal structure, which is entirely controlled by the algorithmic agent. R. Masu, A. Conci, C. Core, A. De Angeli and F. Morreale. 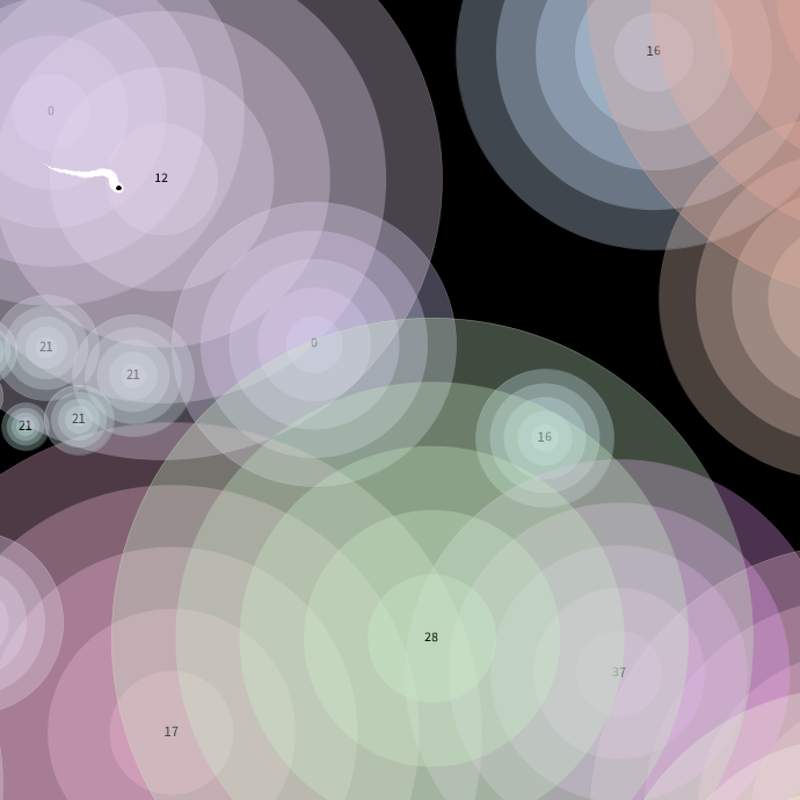 Robinflock: a Polyphonic Algorithmic Composer for Interactive Scenarios with Children. Proc. Sound and Music Computing, Helsinki, Finland. 2017.